And since everyone still wants to be in Mergers & Acquisitions, “M&A” is the most commonly requested group. I had assumed that if you found a site like this, you would just naturally know what you do in each group. But I was wrong – because I keep getting this question over and over. What do you actually do in Mergers & Acquisitions? There are 3 things you do as a junior investment banker: pitching for deals (going to a prospective client and making a long presentation that says, “WE’RE GREAT, HIRE US!”), executing deals (taking a client to potential buyers and saying, “BUY OUR CLIENT, PLEASE!”), and completely random stuff that has nothing to do with anything (when your MD calls you to pick up his dry cleaning, for example). Generally, you do more of the “execution” part in M&A and less of the pitching / random stuff. You might think that would make your life less mundane, but that’s not quite true –there’s a lot of grunt work no matter what you do. In M&A, the grunt work is more of the “Update our conversations with each buyer in this really long spreadsheet” variety rather than the “Make our bank #1 for EVERYTHING!” variety that you get when “crafting” pitch books. If you’re working in an M&A group, there are two types of deals you’ll work on: sell-side M&A deals and buy-side M&A deals (executing your enemies is an entirely different line of work best left to Patrick Bateman). Sometimes they know who they want to sell to – while other times they have absolutely no clue and they are desperately seeking a means to avoid embarrassment or continuing to run the company. If a private equity firm owns the company, the PE firm pulls all the strings and decides when to sell; otherwise, the Board of Directors is in charge (not the management team – except for the CEO, who may have some input). This is called a “distressed sale” and although it’s technically an M&A deal, it works a bit differently – so we’ll come back to it in future articles. In these deals, the client comes to you and says, “We want to buy a company. Can you help us do it / help us finance it?” (Most often they only care about the last part). Sometimes they know exactly what they want to buy, or are already in discussions with the seller; other times they have no clue and just want you to search hundreds of companies for them and do all the work while they sit back and contemplate how to proceed. This happens all the time with huge conglomerates where it takes 18 months to decide how to allocate the paper clip budget; smaller companies move more quickly, but they are also less inclined to acquire other companies in the first place – especially in the current market. So what do you actually do, and how does the entire process work? It depends on whether the transaction is targeted (the buyer and seller are already talking, or they are focused on just 1 buyer/seller) or broad (they want to be shown to a large group of potential buyers or they want to look at a big group of potential acquisitions). With a broad process, you go out to lots of different buyers/sellers and try to get interest from as many as possible – and then you run some kind of auction to get the best price possible for your client (in a sell-side deal, anyway). When it’s targeted, you’ll still try to get bids from other parties (or multiple potential acquisitions lined up if it’s a buy-side deal), but there is less “process” work and more negotiating and back-and-forth with one party. There’s always some overlap, and one type of deal can easily turn into the other. When you’re dealing with huge ($10B+ market cap) companies, you’re more likely to see targeted processes because the pool of feasible buyers and sellers is very small; but when you’re representing a smaller company, or a private equity-owned company, it’s more likely to be a broad process. OK, But What Do You Actually Do As an Analyst or Associate? As you might have surmised, there are 4 types of deals: targeted sell-side, broad sell-side, targeted buy-side, and broad buy-side. In this type of deal, the buyer and seller are usually talking – and your role as an investment banker is to get a higher price for your client. Well, you can try to argue really hard with the buyer and make some nasty threats. But that doesn’t work well unless you have actual leverage – namely, an offer from another party. 1. Make a short (5-10 pages) summary of your client’s key selling points (“Executive Summary”). 2. Watch while the senior bankers (usually the Managing Director) call the small set of potential buyers they’ve thought of or already know. 3. As they get back to you, you update a spreadsheet with their responses and send it out in periodic updates to your client. When the (new) buyers ask for material (“due diligence requests”) you send them what you have. 4. Meanwhile, you try to keep the original buyer at bay and give the illusion that nothing deceptive is going on – and you process their due diligence requests: the buyer asks for something, and you have to go through your client’s poorly organized files, find it, and then send it… or beg for it if it’s not there. 6. If your team manages to get multiple offers, the bankers lock the buyers in a bidding war until someone emerges victorious and proceeds with acquiring your client. 7. If not, your team continues talking to the original buyer and they try to negotiate improved terms (sometimes the buyer will cave on terms like reps and warranties and treatment of options, if not the price). What type of work would you actually do as a junior banker in this kind of deal? 1. Update the buyer list with notes on what’s happening and the latest news. This is probably your most important duty. 2. Process due diligence requests from the buyers – this means you look for stuff when they ask for it, and if you don’t have it, you then ask your client for it… and then you get it, and send it back to the buyers. Efficiency at its finest! There’s less technical work than you might have expected – that’s just how banking is. You do not spend the majority of your time doing modeling work – even in a more technical group, like M&A. 1. Meet with client and develop “marketing” materials. Every bank and group is different, but usually these consist of a “short” document (usually called an “Executive Summary”), a longer document (“Confidential Information Memorandum” or “Offering Memorandum”), and a PowerPoint presentation (“Management Presentation”). 2. Depending on the deal and client, you may develop your own operating model for it showing where the revenue and expense numbers in each year come from. You might also do a valuation as backup material in case the question of price arises. 3. Once you’ve finished at least some of the marketing materials, your team starts approaching the potential buyers – usually the senior bankers and client come up with this list, but sometimes you get to “contribute” (i.e. they tell you “Go find more buyers in such-and-such category”). 4. As the potential buyers start expressing interest, you execute NDAs (“Non-Disclosure Agreements” – this means sending a Word document back-and-forth until everyone stops arguing) and pass along information requests – usually the buyers want to see your client’s financial details, more about its products/services, and more on its customers. 5. At some point you set a “bidding deadline” and the interested buyers must submit bids with their prices and other terms. Usually the “other terms” are not well-defined at this stage. 6. The senior bankers and your client pick “the winners” (mostly based on price if it’s the first round), and they advance to the next round of bidding. 7. At each round, you share more and more information with the potential buyers, and narrow down the list. This can last for many rounds, but 2 rounds is probably the most common – more than that gets excessive, even for Patrick Bateman. 8. When bidding is over, the “winner” emerges and your team negotiates the purchase agreement that spells out details of how your client will be acquired. So it’s not too much different from the targeted sell-side process, but it is more drawn out – you create more marketing materials, speak with more buyers, and do a lot more administrative work. It’s hard to say whether there’s more or less modeling work; I would say there’s more administrative work and more modeling work, so basically there is just more work in general. A targeted buy-side deal is almost the same as a targeted sell-side deal, except you don’t go out and solicit bids from other potential buyers… since you’re representing the buyer. In many targeted buy-side deals, a bank is close to useless – because no matter how well your MD can “negotiate,” ultimately the seller has all the leverage. 1. Client contacts your MD and asks him to represent them in an acquisition. 2. Your team goes in to “analyze” the situation and provide recommendations – these recommendations usually come in the form of how much they should pay for the seller and what kind of terms they should negotiate for – as well as what the financing should look like (how much debt they should use, the number of tranches, interest rates, etc.). 3. As a result, you as the junior banker will most likely do a valuation of the seller and a merger model for the combined entity. 4. In the background, your team starts communicating with the Leveraged Finance team and sending them information on the buyer and seller to see what kind of debt they could provide (Note: In the current market environment debt issuances don’t really happen except for small deals). 5. Most of the value your bank provides lies in the financing – so your team spends a lot of time communicating with the company telling them about the terms and advising them on what price they should push for. 6. If all goes well, the deal goes as planned and your client acquires the other company using the debt that your bank has raised. Sometimes your bank doesn’t actually do a financing – in that case, you mostly just do valuations of the buyer and seller, and create “updates” showing what the acquisition would look like at different prices. For a truly targeted buy-side deal, you do less administrative work because you are only tracking discussions with one party – the seller. There is some back-and-forth with the Leveraged Finance team as they request information, but it’s way less than in sell-side deals. You’ll notice that I did not give much detail on the debt process, and that is because as an M&A banker you are usually not too involved with this. 1. Client comes to you with a vague idea of what they want. 2. You, as the junior banker, dig through mounds of information, research, and internal databases to locate potential acquisitions. 3. You create detailed “profiles” for each potential acquisition, and then show them to your client. 4. They give a vague response, and/or tell you to look for a completely different type of company. 5. You continue to pore through research and information, looking for the needle in the haystack – the one company that they might actually want to acquire. 6. This cycle continues indefinitely until your client decides that they actually want to speak with one of the companies you’ve found and/or possibly acquire them at some point in the future (the bigger your client, the longer and more painful this process is). You’ll notice that I don’t have a “conclusion” here, and that’s because most broad buy-side deals turn into long, drawn-out processes that never go anywhere. You will also notice that I have almost nothing about any technical work – and that’s because you very rarely do any “modeling” for this type of deal. Sometimes, you may do a quick and simple valuation of one of these potential acquisitions or you might run a merger model to show what the combined entity would look like. But you spend most of your time looking for that needle in the haystack – so it’s not a very fun process for you, unless you love to search through databases and read research. I recommend that you stay far, far, away from these types of deals and gravitate toward sell-side M&A and targeted buy-side M&A. Most senior bankers also know that broad buy-side processes are a waste of time, so they rarely take them on unless they’re doing someone else a favor (which is usually why they happen in the first place, of course). So that is what you actually do in Mergers & Acquisitions: administrative work, research, sending updates to your team, and occasionally running some models in Excel. If you’re really lucky and your deal actually closes when you’re still at the bank, you might also get to go to the closing dinner, which is the most fun part of the entire process. Would first year analysts expect to do merger models or lbo models during an interview? They could easily give you an LBO model or some other type of 3-statement model in an interview (since an LBO model is just a variation of a 3-statement model). However, they can only make it so complicated because it’s usually given in a time-pressured setting. So you’re not going to complete a 3,000-row Excel file or anything like that. A merger model is less likely, but it could still come up. If it does, it will probably be just an Income Statement combination or simplified IS/CFS (down to FCF line) combination rather than a full 3-statement model, with simplified PPA and other assumptions. And a quarterly 3-statement merger model is extremely unlikely. I have ur BIWS modeling course. Which ones would be similar to ones I would find in an interview? I’m thinking the simple lbo you have on YouTube and perhaps the assessment center 2-part one is comparable. Thoughts? And for merger model would your jos a bank one be too complicated for something I’d find in an interview? If so, what would you recommend? Just want to know how to spend my time wisely for both lbo and merger models. Thanks! Hard to say because I don’t know specifically which courses you have, and I could not find your email address on the site so I could not even look it up. If you have an active account, please contact us the BIWS help desk for a recommendation. Yes, some of the YouTube case studies like the assessment center LBO model might be relevant. For merger models, the Starbucks / Krispy Kreme one is a better example. Thanks Brian! I have Excellence with Excel, Financial Modeling Fundamentals, PowerPoint Pro, Advanced Modeling, and Bonus case Studies. Of these, which lbo and merger model should I study to be best prepared for something I’d be asked in M&A interviews for lateral analyst? Thank you so much for your help Brian. Your courses are amazing and your willingness to help people in the comments section is extraordinary! I would stick to the simpler examples in the Fundamentals course (Atlassian, Steel Dynamics, JoS. A. Bank, 7 Days Inn). And maybe look at the J Crew and Best Buy and Assessment Center LBO case studies in the Bonus Case Studies. The Interview Guide actually has better/simpler examples of time-pressured case studies, but we are revamping the entire Fundamentals course to be in the same streamlined format this year. Brian, thank you for the helpful article. Could you please explain and describe the roles of accountants in M&A? Do accountants in Financial Advisory at Big4 mainly do Due Diligence? What’s the difference between investment banker’s role and accounant’s role (who works in Finanial Advisory group at Big4)? I have a minor question, how should analysts identify who should be a potential buyer to be contacted and how to run the research process? I mean like what are the main characteristics that should be satisfied for them in a wide base industry? You look at the industry, the strategic fit, the financial criteria and ability to pay, and the buyer’s past acquisition history. Hi, really appreciate all of the great information on the site! Quick question: could you please add the dates articles are posted? When you refer to the current market, I’m not sure what year it applies to. You can get a sense of the dates by looking at the oldest comment for each article. Comments have dates. When we re-write/update articles, we also delete all the old comments. For broad buy side deals, will the investment bank only get paid on a success basis? Generally, yes, but sometimes there will be a small retainer depending on the potential deal, client, and their relationship with the bank. The retainer is to incentivize firms to actually do something instead of getting endless free work from a bank. In a sell side transaction, do Banks do a due diligence on the companies they advise prior to contacting potential buyers? What do you think about digital deal marketing platforms that give bankers visibility into which buyers are engaging in the book and sharing the book? Business Brokers vs M&A. What is the difference? Business brokers typically handle much smaller companies (“small businesses”) that are worth far less than large companies. Quick Question with regards to a targeted Sell Side deal. When going to other buyers, in order to get the highest price possible, will the process of getting them to sign NDA’s, creating teasers and ect occur? Thanks for writing such an entertaining article on a boring but serious business of M&A. If I were to invite an investment banker to present to an audience of C-level corporations who have their own M&A department, what do you think would be a good topic or topics which would interest these C-levels? Maybe trends or data they don’t have, or companies or markets the companies haven’t yet thought about. thank you. will ask the investment bankers whether they have something new to cover. Thanks. What approach/method/model, banks use in practice for their strategic investment decisions in order to choose the project that will increase the firm value in the long-term? That question is so broad that I don’t know how to answer it. At a high level, you look at the cost and estimated cash flows from a project to see if they’ll exceed the firm’s cost of capital; projects that seem most likely to do that are the ones most likely to be approved. this is a bit of a minor point, however, does a buy-side deal with 2 targets get classified as a broad buy-side or a targeted buy-side deal? It appears that megers and aquisitions is similar to the realm of sales? Is there any truth to this inquiry? In addition, does sales experience help boost an investment banking resume due to a correlation with investment banking M&A? Yes you need to having good selling skills in IBD. Not in the junior level no. You need relevant deal experience. question please, explain what is the role of investment banker in merger? thank you ! Can you briefly elaborate on how a distressed sale is different from an M&A deal? 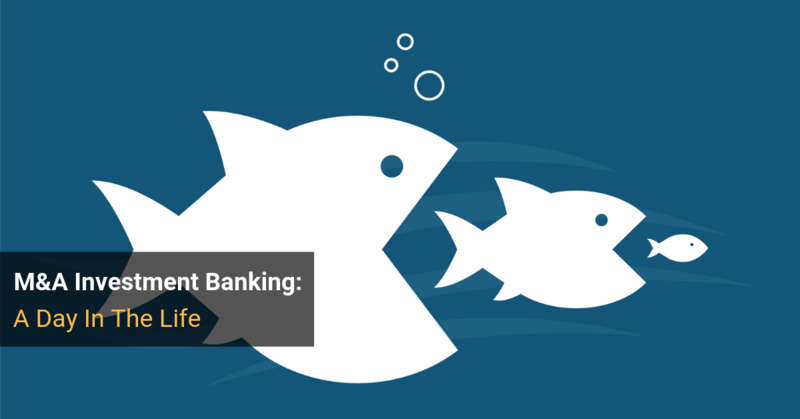 Across banks (bulge brackets) with stand-alone M&A teams, when do they typically step in? Generally, do they step in only post-LOI after the coverage guys pitch for business? I’m at a large MM right now in the M&A team and seems like we’re helping out pre-mandate a lot more than I expected. When does M&A ‘step in’ and ‘take over’? Hi So i don’t fit the mould.. over 30. pissed almost 10 yrs of my life away studying a degree i didn’t want to do.. never finished. Finally decided to wake up. Went back to school, did a degree in Accounting & Fin. Management in the UK.. Got a 1st Class and won almost every prize..
Been applying for corporate finance. Finally got a good call back for a graduate coverage & corporate finance role (emerging market country) in a big bank.. Interview in 2 days so here’s my question(s)..
Will they ask about my age? How fast do you think i can progress after this 1st year? Do you think being older will make me more eligible for promotions? perhaps the top guys will see me more as a buddy than a monkey analyst? Do you think this sort of bank will be involved in exciting deals? 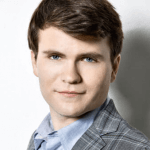 Off to biz school after a year…should i mention this in the interview? Is this type of corporate finance role as described below considered M&A? Will a role in PwC as a graduate management consultant provide more experience with regards to learning about companies and how they can acquire allocate financing? You’ll develop a fundamental understanding of our products and workflows, our approach to managing operational risk, and relevant regulatory and compliance requirements. You’ll learn about our credit risk policies and procedures, as well as the services and products we offer. You’ll also collaborate with colleagues to produce credit and portfolio analyses. You will be partnered with senior teams and work on the origination and execution of deals and pitches, including business modelling, valuations regulations, capital structures and needs. David, yes they will probably figure out how old you are looking at your resume. No I don’t think being older will make you more eligible for promotions unless you have more to offer on the table. Otherwise it can work against you if you are perceived not as hard working as others. Probably not, but it also depends on what you mean by exciting. Probably don’t want to mention off to business school. Maybe, though the rotation 3 sounds better to me. First, I would like to congratulate you on such a great website! The articles published here are very insightful and have provided me with great information so far. I’ve been interested in finance for a few years now but primarily it was more on the consumer banking side of the industry. In the last few months however, my eyes have been opened to a world of opportunities which I’m very excited to explore. I’m still doing my research and feel I have a lot more to learn about the different business areas before I can take a step in a chosen direction. I’m in my mid twenties and have been an online marketing manager for an international retailer for the last 2 years. I’m currently finishing my online/distance degree (business major) and will be graduating in summer 2015. As this post suggests, I’m wanting a career in finance, more specifically investment banking. A) After I graduate (18 months from now) I look for an opportunity to apply for a year 1 analyst position, I’ll be 27 by then with 3 years of marketing experience. How will I be viewed by potential employers? B) I apply to a business school for an MBA after I graduate. I’ve been in touch with top tier schools about my situation who said as long as my grades satisfy their requisite, I stand a good chance. Either route means I’m looking to reach associate level at the age of 30. I feel I’ve wasted so much time already and now that I know what field I want to work in, I don’t even want to waste another 24 hours. What do you feel is my best route of action? On a side note, would you recommend any specific books on M&A? From my knowledge of it so far I’m definitely feeling more inclined toward this business area. – You maybe a bit older than most first year analysts. If you haven’t had any experience in IB, you’ll have to convince them why they should hire you over others who are younger with the relevant experience. Would you join a top M&A over a top industry group when looking to develop a skillset that is attractive to long/short HF or Megafund PE exits? Which is better? Either one is good, it’s pretty much a toss-up. It really depends on whether you want to focus on a specific industry or be more of a generalist. Thanks a lot Brian, this really helped increase my understanding of M&A groups in an easy to follow and concise way, not to mention parts of it were hilarious as well! You’re applying for the Investment Banking division within the Investment Bank. Initially you will do a lot of modelling to determine prices and send your findings to senior management who will then discuss that with customers. At this level a good analytical and quantitative background is helpful. As you progress and become responsible for dealing with clients and brining in business for your firm, your main qualities are dealing with people and being able to convince clients that your firm is offering the best service. If you are applying for an internship, do you say Investment Banking and M&A? Additionally, how do bonuses work for non-senior people in M&A? Is it just basically a small % of the revenue on the deals they worked on or generated? Roughly, how do salaries and bonuses for people in the M&A area of the bank compare with the other divisions? Once again M&I thanks a lot, this website is truly wonderful! 1st paragraph: Yes you do lots of modeling and pitch books. You generally present your findings to associates who will then present your findings to VP, then senior management. Sometimes senior management may not necessarily know who you are. 2nd paragraph: Yes, basically bring in revenue. This was a great article. I’m going to play the fool here, but why is there so much enigma around M&A as it doesn’t seem that much different from being an estate agent or a recruitment consultant, etc. Your client has a need your other client has a need and you match this up. Sounds like you need more people skills and commcial intelligence than mathematical skills. A job in M&A sounds like a lot of fun. It’s not. The main difference is that you can make a lot more money at the senior levels since you’re selling assets worth billions / tens of billions of dollars. People skills – sort of, yes, but analytical skills are still important especially at the junior levels. I am currently an undergrad student studying business management at a respected school with a minor in Economics. My degree I am going get next year though is not in finance or accounting. 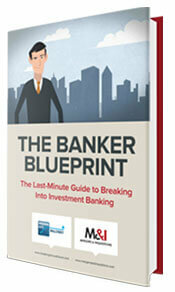 I am very well read on the economy, finance, and everything that is important in the Investment Banking industry. How do you suggest I pursue breaking into the industry? I’m not from the ivy league but I’m smart and passionate about becoming an investment banker. Could you suggest any articles, websites, resources to learn more about and keep up to date with the M&A sector? In M&A how much of work is related to competitive analysis,strategy evaluation (or market analysis) etc.I know most of the work is related to valuation,pitching,negotiations,Due Dili etc but companies do M or A for strategic reasons for eg to gain an edge over your rivals or buying out your nemesis or for regional/geographical penetration. So do bankers look at these panoramic aspects or are just into usual stuff? Suppose there is a company which is into manafacturing and selling of products , but my operations are only in big cities like NY,Chicago etc.There is another company(same line of business) which does well only in small places(or the not so glamorous ones) like new hampshire,nebraska,arkansas etc. So if the former wants to acquire the latter for entering the tier 2 or tier 3 places(geoprahical penetration) , the viability,strategy,market research etc also needs attention? Do bankers look at these points? However, during interviews, how do you pitch the deal? Because isn’t it a repeat of what you wrote on your resume? Also often I am asked what’s happened to the deal i.e. is it still going ahead. More often then not I don’t know because senior management don’t mention it, or have meetings and don’t talk about it (esp in boutiques where you are not really ‘assigned deals’ but jump in). If you don’t know what should you say? Sometimes I know its been put on hold (because the company couldn’t pay the fees once! haha) and say that but then they dismiss it as deal experience. :( What should I do? If you know the deal fell apart/didn’t go through… should you mention it even after describing what you did? I have tried it before and the bankers didn’t look happy… needless to say i was dinged. Okay. Yea they said to me that they thought that if I was building the model etc then for the company to back out of the deal was pretty poor. I agreed but explained why they did it (one company couldn’t even pay us the fees because they were in so much debt!) but then the bankers seem to look down on the work i did… :S But I see what you mean… focus on the strengths of the deal/what I learnt vs the negative aspects. First off, really great website! Question: what role do bankers play in mergers … where neither company is acquiring the other, no money changes hands, but rather two companies are combining into one and the argument is over how much each company is worth before the merger to determine the allocation of shares post merger. I would imagine that bankers from both sides do modeling work for their client, but other than that is there anything else? do they do the negotiating in their client’s name? are they key to getting the two sides to come to an agreement? I appreciate any insight you can offer. Thanks. Hi, both links are very good reads, and make a lot of sense as to what bankers do … but neither answer the question about the role bankers play in mergers (no clear buyer or seller). I ask because I recently witnessed this happening, and I’m curious as to what our company paid the bankers for other than strictly modeling. Thats the link to this webpage. Very informative and thorough. Thanks. I am an Intern in an investment management firm focusing on buy-side M&A. I am responsible for making Presentations and Creating and maintaining Valuation model for a couple deals. I also have some exposure to other areas such as asset allocation, product development and Risk management. My question is: Does this experience helpful if I am looking for a sell-side M&A job in Investment Banks? This experience is good, but not too relevant to sell-side M&A roles in IBs. I don’t really understand why financial modeling doesn’t play a significant role in the deals. How is the bank a value addition to the client if (or put differently, how is the bank able to appropriately pick a worthy seller) if no serious number-crunching or modeling work is done? Yes you need good solid modeling work, but most banks can do that. Bank’s value add isn’t simply the models but its relationship w the client & ability to fulfill the client’s needs (be it financing needs etc) What Brian meant was yes there is modeling work to be done, but less than what people think. There’s a lot of admin work etc too. I would like to ask you a curiosity: what would you say if you’d have to esteem a percentage of what analysts do? Congrat for the site, and for BIWS that I just discovered and joined! I think that percentage may be more like 60/40 depending on which group you are on though different people have different experience. Thank you for your support! I know this is out of the topic but is NYU-Poly MFE corporate finance track good? Is it even recognized by IB firms? Ok, one question should you be kind to explain. How you find potential ‘acquisition’ candidates, I’m not sure if Bloomberg, Thomson One or Capital IQ provide you the prospects with a click of button. Is there way to ascertain who could be a potential acquisition or who not ..? Yes, look in those sources but that’s just the starting point… then you need company research, analysis of potential acquisitions, and so on. Thanks! You might want to take your number down unless you want readers to contact you..
My MD usually staff me on the broad buy-side deals and sell-side deals, but not on the targeted buy-side deals…so I have very limited exposure to excel modelling, do you have any advice on this? I would teach yourself, either via one of the courses offered here, via a book, or other means. is there a place on this site which talks about the various modelling involved with M&A. As an analyst, what a good bidder list look like? If there’re more than 100 potential bidders, will my MD contact all of them? Over 100 sounds like way too many for most deals. Most of the time there are maybe 20-30 good buyers for smaller/mid-sized companies and often less than that for huge companies. So when will I get the chance to do most of the modelling job and be really involved in the deals? After you’ve been working for at least a few months and have proven yourself. Thanks for your reply. One more question: how can I tell whether the MD are satisfied with my work? I always have no feedback from my work after I sent it to him, and I am quite concerned with that. Besides, other analysts got more work than I do, how can I ask for more work? They were here about 3 months before me. Who and how should I ask for more work? Can you help me making a resume for experience in mergers and acquistions when I have no experience of it. I went abroad but didnt really real stuff for it except for translation from french to english of their books to potential buyers.I need help in convincing the big 4 here that I did something substantial. I have a question that I’m not sure you’ll really have an answer for, but I wanted to throw it out there anyway. First and foremost, I wanted to say thank you so much for maintaining such an excellent site. I 100% credit M&I’s advice for landing me my FT IB position. In regard to my actual question, it relates to my Analyst role at the Boutique where I’m employed. It’s not a traditional analyst role in that I’m not an Excel jockey nor am I cranking pitchbooks 24/7 — I’m actually spending the majority of my time sourcing and speaking with CEOs. I’d say the split is 60/40 between sourcing and execution. Based on your article about promotions in banking and what each position actually does, I’d say what I’m actually doing falls more under the title of VP (regarding the heavier focus on bringing in clients). Granted, there is a STEEP learning curve being thrown into the mix right out of school and being expected to make contacts, maintain relationships, and eventually sign clients, but I definitely like the sourcing focus. Also, compensation is structured accordingly — the more prospects I source that turn into clients, the higher my bonus. I guess my actual question, as nebulous as it is, is how do I make the most of this/what thoughts do you hard regarding this model/experience? Also, I’m posting this in the M&A section because my firm strictly does M&A work. I have got a interview at the M&A team at Lazard. Laz sounds like the granddaddy of M&A industry, so is there any difference in the way of doing M&A between the boutiques like Laz and bulge bracket like Morgan Stanley? I just came across your comment here about your interview at Lazard. I am currently completely the application form for Lazard and was wandering if I could ask you a few questions. If possible could you please email me on kareemraslan18@hotmail.com. Wow…I posted elsewhere on your site today…I’m still reading….now at /page/44. Just wanted to say this was such a brilliant article. I’m speechless. God bless you man, you are doing such a wonderful job helping people. If M&A involves debt financing, does M&A team do the debt financing itself or do they forward it to some other team in the office? so if client comes to investment banking firm and says “We want to buy a company. Help us finance it?” then do investment bankers finance by sourcing it to PE firm or do invesment bankers go to bank? Also, what is the difference between merchant bank and investment bank? Merchant bank = combined PE and investment bank so they both invest in companies with their own funds and advise companies on deals and earn commissions like that. For your first question banks would not source that to a PE firm as PE firms do not finance deals, banks provide debt financing for deals, so the bank would provide a debt package for the company. Hey, thanks for great answers. I was also wondering if it is possible for fresh college graduate to land a M&A analyst job. I heard that you need 1~2 years of experience in finance to apply for one. Is that true? I think first question can be specific to a particular industry or region or deal size. Because in India i have seen acquisitions funded through debt as well as PPE finance, mix of both in most cases. Of course deal sizes were way lower and maybe acquired company was bought without significant premium. What do you think? Not clear on exactly what you are asking, but bankers = agents, they just find capital or buyers and earn a fee on it. PE = principals, they put their own money at stake. Sometimes you do see firms that combine the two, especially in emerging markets. In order to get into M&A, should i go for a business degree majoring in finance, bachelor’s in accounting or a bachelor’s in economics. Which subject would be most ideal if i would like to work in the M&A department of investment banking. Thanks.